‘Be careful what you wish for’ seems to be the theme as Stephen Sondheim’s and James Lapine’s cockeyed fairy-tale comes to life in this adaptation of their ground-breaking, Tony Award-winning musical. 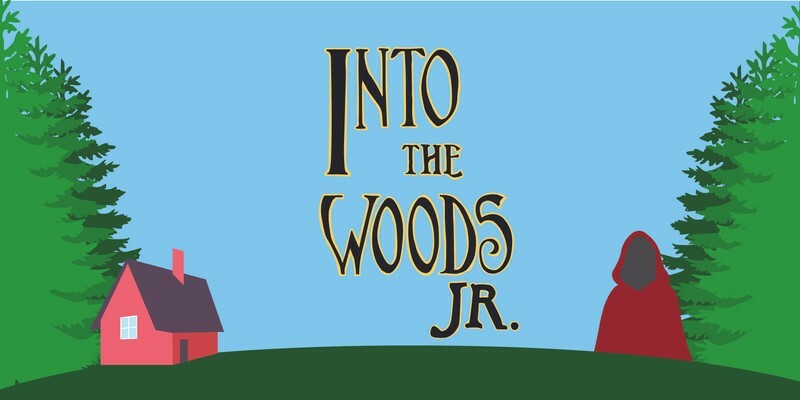 Into the Woods Jr. features all of your favourite characters in this retelling of classic Brothers Grimm fables. The story centres around the Baker and his wife who dearly want a child of their own but because of a witch’s curse they are unable to. The witch tells them that she will reverse the curse if within three days they bring her four special items - a slipper as pure as gold, a cloak as red as blood, a cow as white as milk and hair as yellow as corn - and so they set off on their search. At the start of their journey they meet up with Cinderella and Jack with his cow, which we all know he sells for five beans! As they all go further and further into the woods they meet up with Little Red and the Wolf, Rapunzel and two lovelorn Princes. But Jack’s Giant descends the beanstalk to threaten them all! So do the Baker and his wife manage to fulfil the witch’s demands? Well, we’re not saying but by the end of the story all their lives will have changed for ever! Performed by a great cast of talented youngsters between the ages of 10 and 18 years, this is a real family show – something for all ages! Off Broadway Theatre is easy access, has a licensed bar and a friendly atmosphere! Pop over and check us out on Facebook! Tickets also on sale at Off Broadway Theatre on Wednesdays and Saturdays from 11 am to 2 pm.